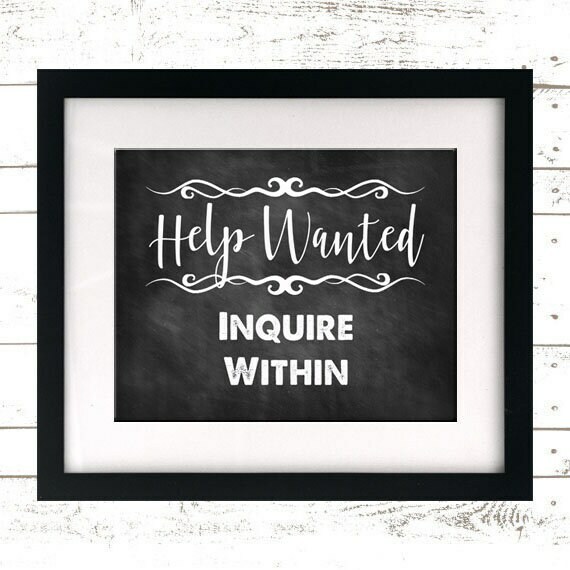 Add this Help Wanted sign to your shop to bring in some new employees! This can be printed on your own printer at home for a quick and easy hiring solution! Custom colors available - just ask!